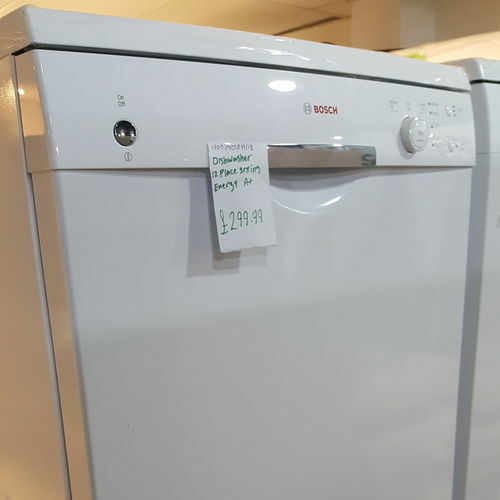 Keep your dishes clean with the simplistic, practical Bosch SMS40T32GB Full-size Dishwasher. The Bosch SMS40T32GB Dishwasher is an easy to operate dishwasher with practical functionality for getting your dishes clean. With 12 place settings, there is plenty of room for storage and varying programmes in the form of normal, economy, quick wash and pre rinse for suitable cleaning. 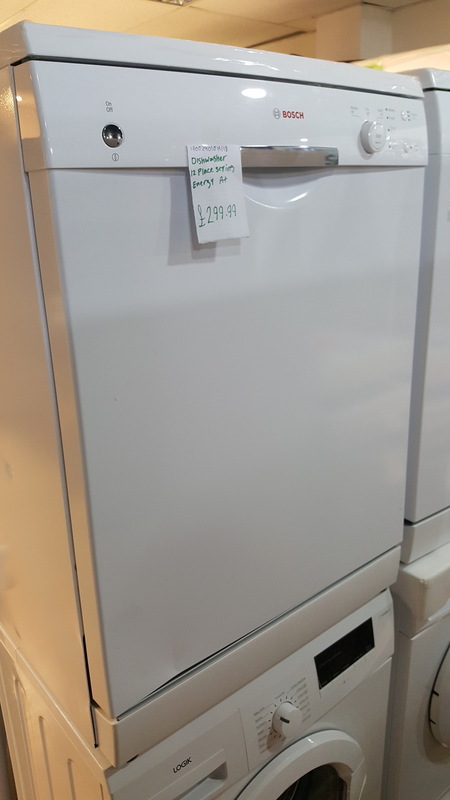 This full size dishwasher is rated A+ when it comes to energy efficiency meaning it will cut your costs when it comes to operations and will also be better for the environment. This is backed up by a pleasing A rating for washing and drying efficiency, meaning that however you use your dishwasher will be relatively efficient. Equipped with a self cleaning filter you will be able to maintain your Bosch dishwasher easily and keep it looking as new as the day you bought it. A large spray head means you can get those bigger dirtier items clean easier with a quick rinse for extra functionality. An included cutlery basket means you will be able to separate where you wash everything, providing suitable storage with this easy to use machine. For simplistic dish cleaning with effective functions, look no further than the Bosch SMS40T32GB Full-size Dishwasher.